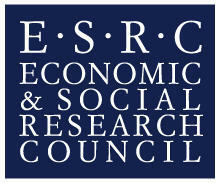 Our annual training school, supported by the ESRC, provides advanced training to enhance the understanding of current economic issues. Aimed at advanced PhD students and early career researchers and members of selected partner agencies, it enables study and discussion with two internationally recognised experts in the topics. Each three day residential course, which runs during the Easter break, is structured around a current topic, covering both macro and micro economics. Invaluable training opportunity for PhD students who would not get such courses necessary to be competitive on the international job market. I found the Easter school a very valuable experience to both expand my understanding of a literature that I hadn’t worked on before and interact with other researchers. Overall a very motivating and inspiring session to get me thinking about new research questions.